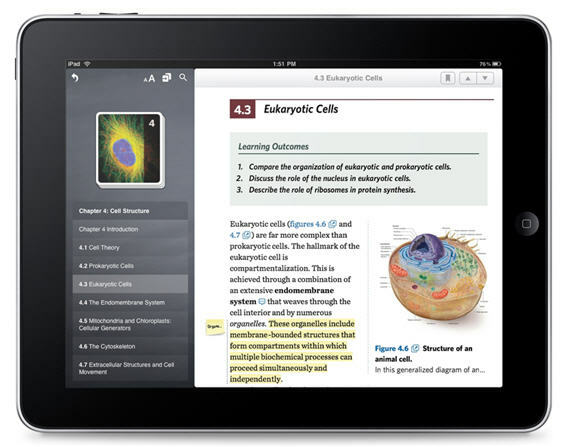 Tablet devices have the potential to change the way we think of a textbook. The handheld, touch-screen interfaces found in the iPad and Motorola Xoom could be used as a unique way to interact with content, moving from the idea of a static textbook to one that is customized & personalized, adaptive & mashable, interactive & participative, as well as living & connected (Bjerede). 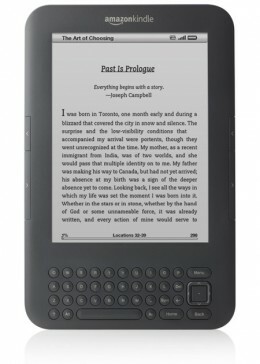 Schools that have tried to adopt simple ereader devices such as the Kindle into the classroom have not had great results (Graham). For one, Kindles cannot adequately approximate the ease of adding marginalia and highlights to a printed textbook. At the very least, enhanced ebooks bring back this lost functionality by effectively mimicking the experience of reading a printed textbook in a digital form. 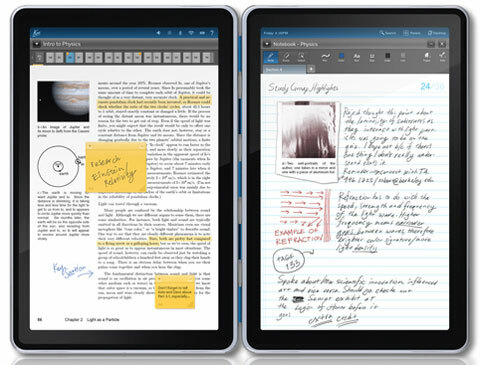 They can allow for easy note-taking, highlighting and marginalia. More than this, enhanced ebooks must introduce new features specific to the digital realm. 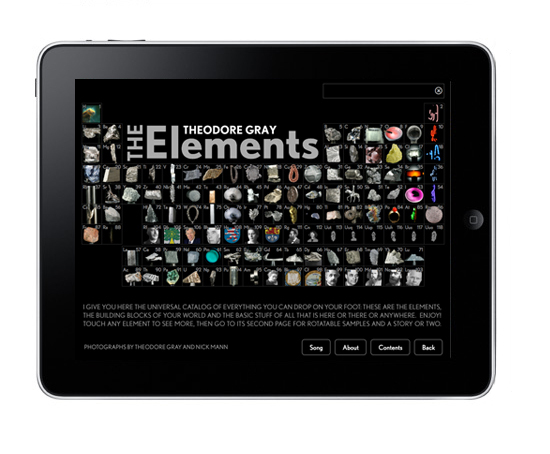 Students are used to a web-based, interactive environment, and are increasingly beginning to yearn for these elements in their textbooks. Students want to be able to manipulate text and embedded multimedia, share and comment upon sections with classmates, and reorganize content to meet their needs. 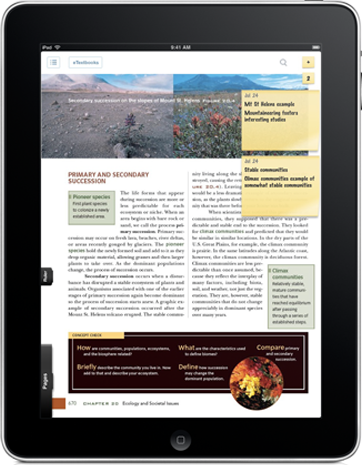 Since the iPad has hit the market, several publishers and content providers have developed unique apps that introduce many enhanced textbook features. This iPad-based app includes many great features from embedded multimedia, linked chapter contents, functional note-taking and highlighting features and more. The library of enhanced ebooks is not large at this point. This company creates browser-based etextbooks and resources, as well as downloadable apps with enhanced features. This company also allows students to choose which version of textbook to purchase, whether online or through a mobile app. This ebook app is available directly from the iTunes store, and represents another way to access ebook content. Instead of being available as a book to purchase through Inkling or Coursesmart, this ebook stands on its own. Pulling mashed-up data from Wolfram Alpha, this ebook exemplifies interactivity and user experience. This device is a tablet specifically designed for use in education, although rumors exist that the Kno will only be available as an app for existing tablet devices. Since the tablet market has gotten so competitive, designing hardware specific to only the educational market may not be the best way to go. It’s too bad, because the dual-screened device hinted at a seamless experience between textbook content, note-taking and course management apps. In the meantime, educators can familiarize themselves with the content that is currently available by talking with textbook providers and requesting more dynamic content. Or if they can’t wait, educators might consider getting all the functionality of enhanced etextbooks by turning towards open educational resources online, the subject of the next post. “The 21st-century textbook: Future textbooks could improve update cycles and create feedback loops.” Bjerede, Marie. O’Reilly Radar. 27 Apr. 2010. “Why the Kindle Failed Higher Education.” Graham, Lee. eLearning 3.0 Blog. 27 May 2010. “Math That Moves: Schools Embrace the iPad.” Hu, Winnie. The New York Times. 4 Jan 2011. Library Journal. 15 Feb 2011.